Neutral Twin XL bedding will easily match your college decor! Looking for Farmstead Comforter in size Queen or King? On a designer dorm comforter, even the most seemingly simple pattern can pack a punch when it comes to your college decor. This is the case with our Farmstead - Twin XL Comforter - 100% Yarn Dyed Cotton Bedding. 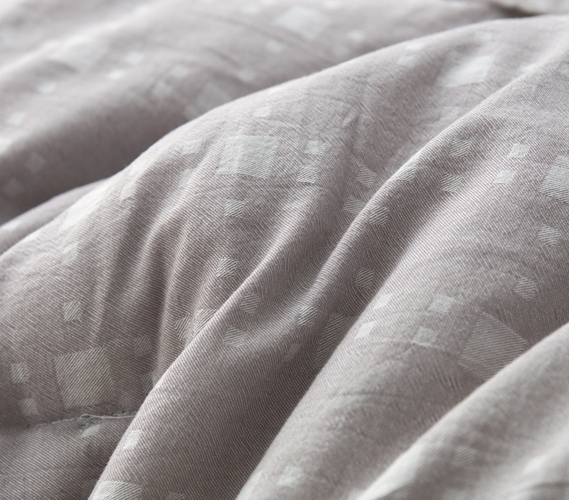 A neutral color and low-key style combine to create the perfect designer college comforter that will blend in with your dorm room decor while still making a statement when added to your dorm bed. This same easy to match yet highly fashionable style appears on both the oversized Twin XL comforter and the matching standard sham that come in this college bedding set. A big part of great looking dorm decor is a cohesive look, so this extra long Twin bedding set is a great start! While designer Twin extra long bedding is a great choice for your college bedding, we understand that you can't choose such essential dorm supplies based on looks alone. After all, with all the time spent in classes, studying, or hanging out with friends, you are going to cherish the time spent cuddled up on your dorm bed, so it must be comfortable! Fortunately, our designer Twin XL comforters are made with more than just looks in mind and this stylish college comforter is no exception. A thicker than average inner fill and a 100% yarn dyed cotton exterior make this essential dorm comforter a cozy part of your soft college bedding.